The Beginning Of The School Year Was Not So Easy This Year. As our forty students came into our room the first day of school, we had many new faces. Thirty one new faces to be exact. This was different than I was use to. I had been teaching the same children for four years. I began as their junior kindergarten teacher, had a maternity leave, returned in first grade, the following year taught a 1/2 split then last year taught a 2/3 split. I LOVED having the same children year after year. There were always minor changes and new faces, however the bulk of the students were the same. I definitely got used to this. In September we just picked up where we had left off the previous June. The children knew me and the classroom expectations and I knew their weaknesses, their strengths, their families, their favourite books, which sports they liked etc. We were a family. This year, my core group moved on to grade 4 while I stayed back to teach a 2/3 split. I knew it was time to let them go and I knew that they needed to have a different teacher with a different perspective and had different strengths and weaknesses. I forgot how hard it was to get a new group of children that you hardly knew. I forgot that they didn't know what Wonder Workshop was when they came in, that they weren't use to not having a seating chart, that they didn't know how to properly handle the iPads or know how to log onto their blogs. I forgot how hard it was in September with a new class. My teaching partner and I had to adjust our way of doing things to accommodate all of our new students. We had to reassess what our plans were for the first few weeks of school. We needed to spend time getting to know our students and they needed to get to know us. We are now into our fourth week of school and we have a lot of learning to do, but we have also accomplished so much! We are collaborating, we are learning how to wonder and how to begin an open inquiry. We are learning about schema and how to use the iPads to capture our thinking. We are Tweeting and even created our first blog post today! 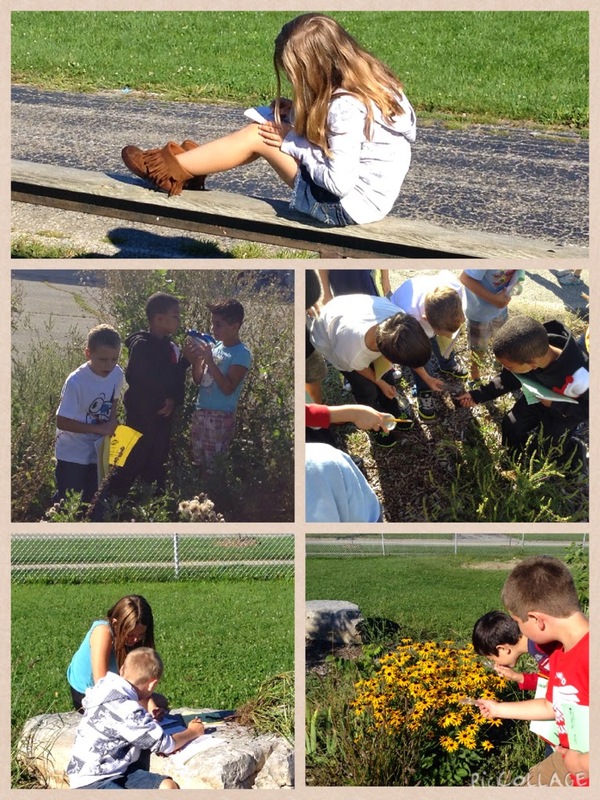 Going outside to spark our wonders and curiosity. We do have 31 new faces....but we are having a great time learning about each other, getting to know each other and discovering new things together. We now have 31 more children to engage and motivate, to teach and learn from, and that is a gift.